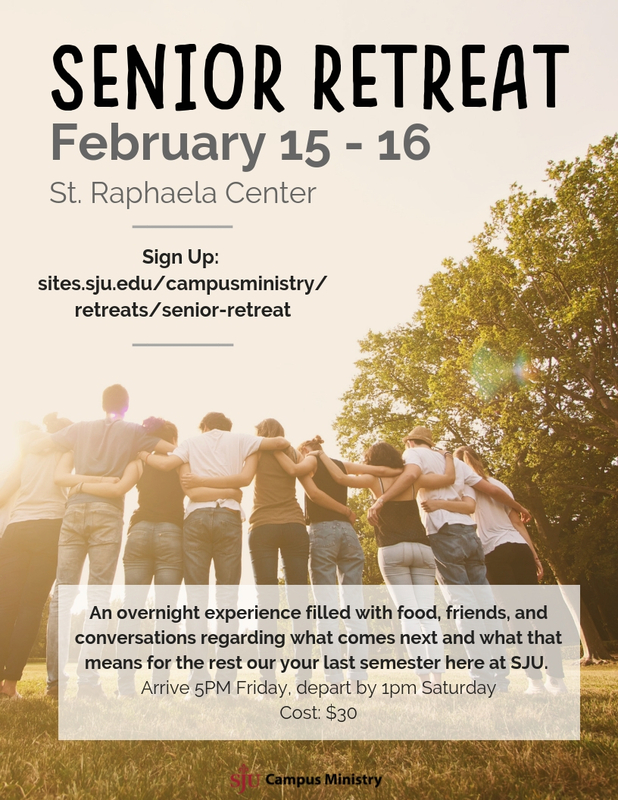 Senior Retreat is an overnight experience for seniors in their final semester at Saint Joseph's University. The retreat will be a relaxed, social experience - an intentional night with friends and reflection. Optional: Stay for a quiet, reflective afternoon for personal discernment and reflection. If you are looking to speak with a spiritual director/minister about post-grad life, this can be an option Saturday afternoon. Email Jackie to sign up for a designated time with a Campus Minister.